Open Daily to the public during Library hours. Presented with warmth and empathy, Dheerasekara has photographed the Muckaty community in the Northern Territory whose country is targeted to host a federal radioactive waste dump. Migrating from Sri Lanka in 2008 Dheerasekara now specialises in social documentary and social justice reportage. In 2010 he received the Amnesty International Human Rights Innovation Grant to begin work on this exhibition. A tough political story is told with observant and beautifully realised photographs. Finalist in the 2011 Winifred Bowness Photography Prize. 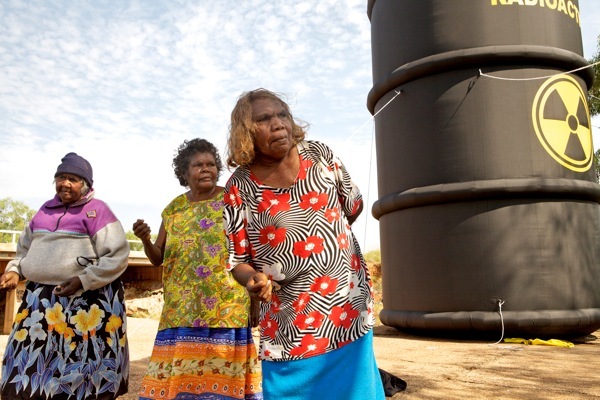 The Federal Court hearing for the nomination of Muckaty as the site is scheduled for 25 June 2012 in Melbourne.